The USS Constitution will mark the 17th anniversary of the 9/11 attacks with one-gun salutes from the gun deck at key moments. Tuesday marks the 17th anniversary of the Sept. 11, 2001, terror attacks, which killed thousands of people, including 206 with Massachusetts ties. Community leaders, first responders, the families of the victims, and others will gather at memorials, parks, and government buildings across the state to honor those who died. Boston will have a variety of commemorative events. At 8:30 a.m., there will be a flag-lowering ceremony at the State House lawn to honor the victims of the attacks and their families will attend. Before that, at 7 a.m., an American flag will be unfurled at Fenway Park before beginning its 62-day journey across the country, which is scheduled to end in San Diego on Veterans Day. At 9:30 a.m., Boston Mayor Martin J. Walsh will speak at the presentation of the Madeline Amy Sweeney Award for Civilian Bravery, at the House chamber in the State House, and at 1 p.m. he will speak again at a wreath-laying ceremony at the Public Garden with victims’ families, before capping off the day at a 5 p.m. memorial service at the Massachusetts Fallen Firefighters Memorial. 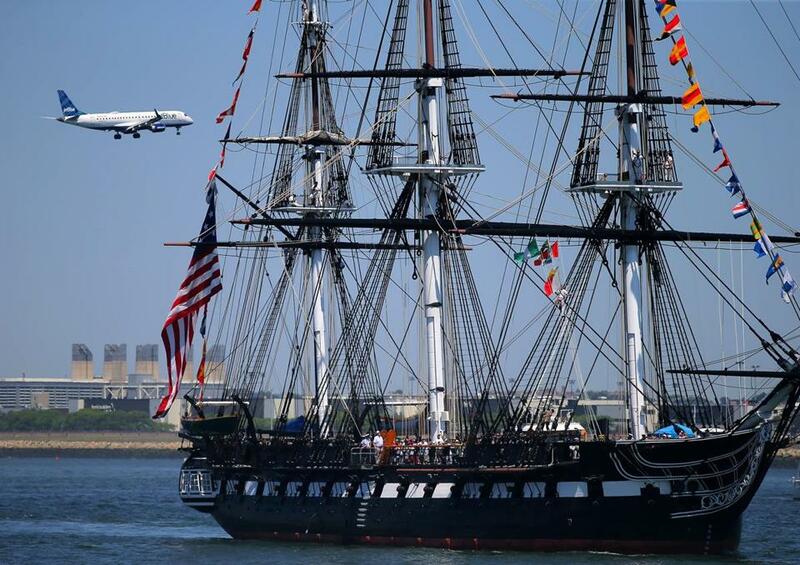 Throughout the morning, the USS Constitution, the Navy’s oldest commissioned warship, will commemorate the attacks with one-gun salutes from the gun deck at the exact times when the hijacked planes hit two New York skyscrapers and the Pentagon 17 years ago, and when one crashed into a Pennsylvania field. Taps will also be played. Other communities will also hold ceremonies. 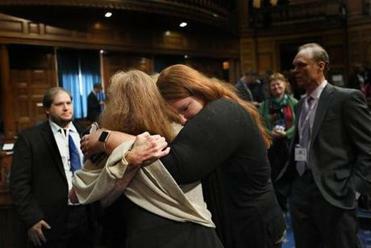 The governor, Boston’s mayor, and the attorney general were among those who read off the names, one by one, of the victims. In Framingham, residents are invited to Cushing Memorial Park at 5:30 p.m., to pay tribute to the people who died, including the 17 people with ties to the city. Springfield will host a remembrance ceremony at 10 a.m., which will include a flag-lowering, a tolling of the fire bell, a gun salute, and a roll-out of emergency vehicles, at the Raymond M. Sullivan Safety Complex. In Raynham, the 9/11 Heroes Run 5K race and the 1-mile Fun Run will kick off at noon to honor victims, veterans, the military, and first responders. Tewksbury residents will end the day with a 7 p.m. candlelight ceremony at the Tewksbury 9/11 Memorial for the victims of the attacks. Andres Picon can be reached at andres.picon@globe.com. Follow him on Twitter at @andpicon. John Hilliard can be reached at john.hilliard@globe.com.